If you want to save money and live intentionally this year, one of my favorite intentional-living teachers and inspirations is having a huge sale on her classes – which were very reasonably priced already, so now they’re a steal! Discount valid between November 23rd and 26th. You probably already know that I’m a big fan of living intentionally. It’s the single trait Chris and I have tried to live by the last 10 years of marriage – as we have waded through the adventure, heartbreak, joy, and general mess of life. Crystal Paine is one of those teachers who first demonstrated intentional living to me in the areas of finance, family, and faith. So one of the last Black Friday Deals I want to share with you is her intentional living courses, which are all on deep discount this weekend. I have trouble paying a lot of money for eCourses. Because Crystal is trying to help people save money on their journey, hers are always SO reasonably priced, and the coupon code this weekend makes them a steal! She is also the real deal. Her teaching DELIVERS. I am always inspired, motivated, and equipped with solid information and actionable ideas after her teachings. Crystal Paine Products 2018 Black Friday Sale! Snag your favorite Crystal Paine products at a discount between November 23rd and 26th! Use Coupon Code BF2018 to receive 50% off! Make Over Your Mornings — just $8.50 with the coupon code (regularly $17) — this is their #1 selling product! 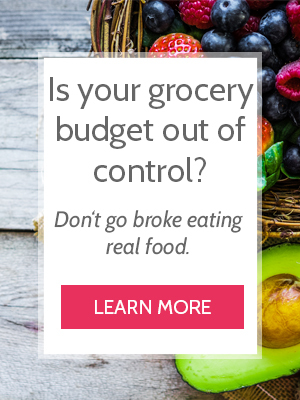 Go here to live intentionally and save money today!